If you decide to grow strawberries in your backyard garden, you may be overwhelmed by all the choices. There are many cultivars of this berry, developed and hybridized to give a range of characteristics. If you want a high-yield plant that produces large, good quality berries, try the Tillamook. What is a Tillamook Strawberry? Tillamook strawberry is a cultivar of the summer berry that comes from Oregon. It is a great berry to grow just to eat in your backyard, but this is also a type of strawberry that is often used for processing. It stands up well to being processed because it produces large, sturdy fruits. Interesting Tillamook strawberry facts include the origin of the name. It comes from the tribe of Native Americans who lived on what is now called Tillamook Bay in Oregon. The development of the Tillamook strawberry included crosses of other cultivars. The result was a berry that was large compared to others and with a high yield. For commercial production, this made it easier and more efficient to harvest. For the backyard gardener, it simply means getting a big yield of beautiful, large berries. If you’ll be growing Tillamook strawberries this year, make sure you have a sunny area for your plants. It’s also important to plant them in an area where you have good drainage. Strawberries need a lot of water, but not standing water. Work compost or other organic material into the soil to provide adequate nutrients. 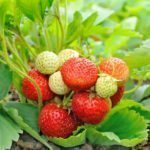 Get the strawberry plants into the ground as early as you can in the spring, when the ground is workable. If a frost is expected after you planted, use some kind of frost blanket to protect the young plants. Make sure your plants have plenty of space between them to grow and spread. Pinch off the first flowers and runners that appear. 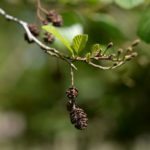 Although this seems counterintuitive, it will allow the plants to put energy into growing a strong root system, and ultimately you will get more berries and a better harvest come spring.